Motion blur in Anthem has been causing a bit of trouble for some people. Apparently, Anthem’s motion blur has been causing nausea for more sensitive individuals. So, some of you might be wondering how to turn Anthem’s blur. There is an option in the settings to do just that, but that doesn’t seem to fix the problem. So, our Anthem How to Turn Off Motion Blur guide is going to show you how to get rid of the motion blur in Anthem for real, by fiddling with the advanced graphics settings. How to Turn Off Motion Blur in Anthem? To turn off motion blur in Anthem, the first step is, well, to turn off Motion Blur in the Settings. However, you might notice that this doesn’t really fix the problem that much. According to Reddit user TheMigCat, there’s another step to the process. Apparently, you also have to turn down the post-processing to medium or lower. You can find that particular option in the Advanced Graphics Settings. This is, of course, only for the PC version of the game. Those that play on consoles, well, you’re outta luck. Post-processing is largely flare that you can live without anyway. Probably. Or not, depending on how serious you are with your PC master race membership. That said, it seems that turning off post-processing can cause a dip in frame rate. So, you might have to either put up with motion blur, or a lesser frame rate. Decisions, decisions. That said, the developers might fix the whole motion blur issue when/after the game launches, so you won’t have to be nauseous the whole time. We’ll have to wait and see. All that said, there’s one thing that we kinda have to address. 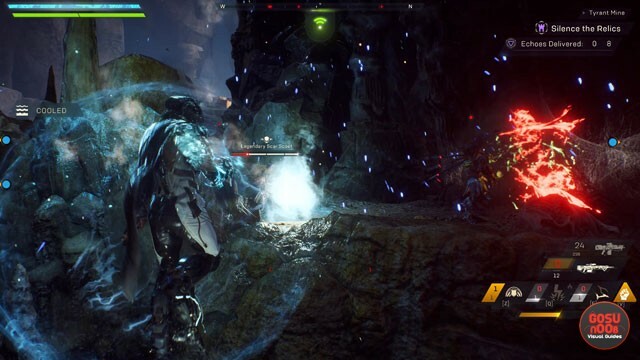 No matter what you do in the settings, Anthem remains an extremely visually noisy game. There’s explosions, lasers, and elemental effects everywhere. So, the motion blur causing nausea for some people is really something you don’t need. Anyway, if you need more help with Anthem, feel free to check out our other Anthem guides. Among others, we’ve got Flight Controls Settings – How to Adjust on PC and How to Unlock New Javelin Suits, to name just two.